5. Q: What kinds of packaging on the goods9 A: they are packed in PP bags with cartons, with our company label. The detail payment terms can negotiated with clients based on different orders. 7. Q: Which the delivery way we can do9 A: For small package, it can ship by express such as DHL, TNT. 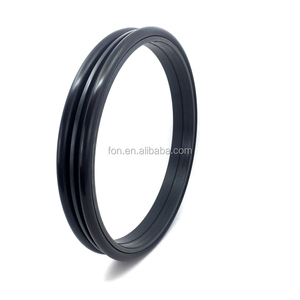 2 YRS Asia FON (Tianjin) Technology Co., Ltd.
1 YRS Liuzhou Xiaor Machinery Equipment Co., Ltd.
8 YRS Guangzhou Huiming Machinery Equipment Co., Ltd.
2 YRS Shenzhou Zhongtian Rubber Products Co., Ltd.
4 YRS Beijing ZHONO Sealing Technology Co., Ltd.
DO Type The DO type Mechanical Face Seal consists of two identical metal face seals and two rubber O - rings placed on the Ramp profile of the metal seal. 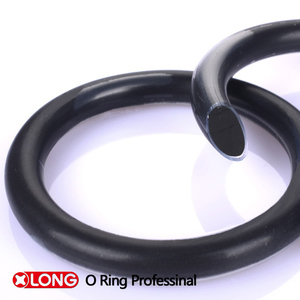 Our face seals consist of two identical metal seal rings mounted in two separate housings face-to-face on a lapped seal face. One half of the Mechanical Face Seal remains static in the housing, while the other half rotates with its counter face. 4. after sending, we will track the products for you once every two days, until you get the products. If you have any questions about the problem, contact with us, we will offer the solve way for you. Q7. when we receive the goods, some of them were damaged, how do you solve it9 A:First, before shipment, we will inspect all product. 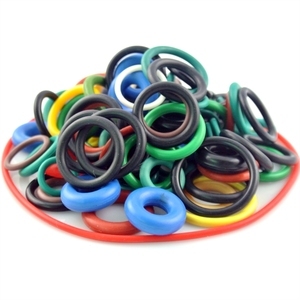 4 YRS Foshan Chuang Mei Da Rubber Plastic Hardware Products Co., Ltd.
11 YRS Huangshi Rviton Machinery Co., Ltd.
3 YRS Guangzhou Ratopparts Machinery Equipment Co., Ltd.
8 YRS Tianjin Fuyote Technology Co., Ltd.
, Ltd has more than 30 years experience in rubber seal industry. It is an enterprise integrating design and development of products, production, network sales and after-sales service. 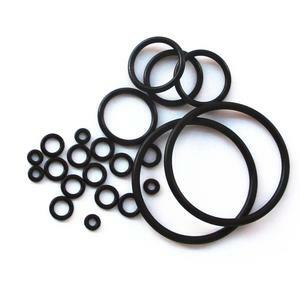 We specialize in: oil seal, o ring, rubber sleeve, rubber strip, rubber bellows, polyurethane parts, steel pipe seals, and other customized rubber and plastic products. (before we confirm the order, we must make sure the produ cts if you want. ) 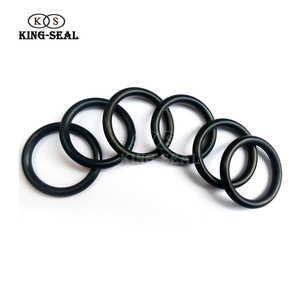 All Kinds of seal Other hot products for your reference. Electronic parts has one year warranty. 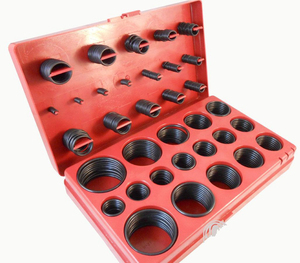 Welcome to&gt;&gt; Professional Ratop Excavator Parts Good Quality GLAND Oring Kit GLAND PACKAGE Product range Click below to choose your desired product categories Electric Parts Controller&Monitor pumps Engine Parts Cooling Parts Seals Filter Parts Locks&Caps Bearing&Gear Pipes&Hose Puller&Rubber Parts Pusher Series Nozzle&Blot&Injector Grease Muffler&Others Valves Hydraulic Parts Undercarriage Parts Turbocharger Water Pump MAKER MODEL KOMATSU PC20 PC30 PC35 PC40-5 PC40-6 PC40-7/8 PC45 PC50 PC56-7 PC60-1 PC60-3/5/6/7 PC70-8 PC75 PC80 PC90-1 PC100-1/2/3 PC100-5 PC PC120-2 PC120-5/6 PC128US-2 PC130 PC130-7 PC140 PC150-3 PC200-1 /2/3/5/6/7 PC220-5/6/7 PC240-3 PC300-2/3/5/6/7 PC350 PC400-5/6 PC360-7 PC400-1/3/5 PC400-6 PC410 PC450-8 PC650 PC650-8 PC710-5 PC1000-1 HITACHI HITACHI UH045 UH052 UHO53 UH063 UH07-5 UH09-7 UH04-7 UH083 EX20UR-1/2 EX27 EX30 EX40-1 EX45-1 EX50UR EX60-1/2/3/5 EX70 EX90 EX100 EX100-W/WD-2/2/3/4 EX120/-2/3/5 EX130 EX150 EX160WD EX200 EX200-1/2/3/5 EX210 EX220-1/3/7 EX220-2/5 EX225 EX240 EX270-1/5 EX280-1 EX300-1/2/3/5/6 EX320 EX330 EX350 EX400 EX400-5 UH03-3/5/7 UH04/2/5 UH05 UN055-7 UH06 UH07 ZAX60 ZAX70 ZAX120 ZAX200 ZX230 ZAX240 ZAX250 ZAX330 ZAX350 ZAX360 ZAX360 CATERPILLAR E40B E70 E70B E110 E120B E140 E180 E200B E240 E300 E200-5 E450 E650 E235B/B/D E245B/D E307 E311B E312C/CL E315C/CL E318B E320/320L E322 E325 E330 E350 E375 E450 KOBELCO K903 K904B K904 C K907B K907C K907D SK07 SK027 SK04N2 SK07N2 SK09N2 SK60 SK100 SK120-3/6 SK120LC SK200 SK200-5/6 SK210-8 SK230-6E SK250-6/8 SK300 SK320 SK330-6/8 SK350-6/8 SK400 SK450-6/8 SK480-6 HYUNDAI R55-7 R60-5/7 R80-7/9 R85-7 R110 R130R150LC R200 R210 R215-7/9 R220 R225LC-7/9 R260-5 R265LC-7/9 R280 R290 R290LC-7 R300 R305LC-9 R320 R335LC-7/9 R375LC R385 R455 R485LC R505LC-7 R515LC-9T R805LC-7 R914B KATO HD250 HD250SE HD300GS HD307 HD350 HD400G HD400-5 HD450 HD400G HD400SE HD450SE HD510 HD512 HD550SE HD700G HD700-5/7 HD800-5/7 HD820 HD880-1HD820 HD880 HD900SEV HD900-2/5/7 HD1023 HD1100 HD1200 HD1220 HD1250-7 HD1500 HD1880G HD1880SE SUMITOMO LX02/03 LX08 SH45 SH55 SH60 SH75-3 SH100 SH120 SH145U SH200 SH200A3 SH210 SH220 SH240 SH250 SH260 SH280 SH300 SH340 SH350 SH400 SH450 LS200 LS200 LS280 LS1200 LS1600 LS2035 LS2050L LS2650 LS2800 LS2800FJ2 LS3400EJ LS4300FJ2 LS5800C2 SC800 SC1000 DAEWOO/DOOSAN DH55 DH60-7 DH130 DH150 DH170 DH220-3/5 DH220-9E DH258LC-V DH280-3 DH300-5 DH DH320 DH330 DH360-5 DH220-9E VOLVO EC55BLC EC60 EX130 EC140B EC210B EC240B EC290B EC330 EC360 EC460B BULLDOZER D20 D30 D31 D3B D3C D3D D40-1 D4C D4D D4H D5 D50 D5B D5H D5M D6B D6C D6D D6H D6R D65 D7 D7E D7F D7G D7R D80 D85-12 D85-18 D8L D8G D8H D8K D8N D8R D9L D9N D155 D155A-1 D155AX D275 D355 D355A-3 D375-2/3 MITSUBISHI MS40 MS70-8 MS110-8 MS120 MS180-3 MS240 MS300-8 REMARK We also could design and produce product according to customers' demands. 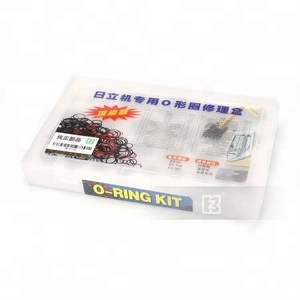 Alibaba.com offers 67,859 ore equipment products. About 1% of these are conveyors, 1% are mixing equipment, and 1% are testing equipment. A wide variety of ore equipment options are available to you, such as farm tractor, compression testing machine. You can also choose from free samples, paid samples. There are 67,859 ore equipment suppliers, mainly located in Asia. The top supplying country is China (Mainland), which supply 100% of ore equipment respectively. Ore equipment products are most popular in Domestic Market, Africa, and Southeast Asia. You can ensure product safety by selecting from certified suppliers, including 42,467 with ISO9001, 16,806 with Other, and 7,912 with ISO14001 certification.